Kent Cricket has accepted an invitation to play in the 2017 Regional Super50, the West Indies domestic one-day competition. The seven-times county champions are set to compete in a recognised overseas tournament for the first time. 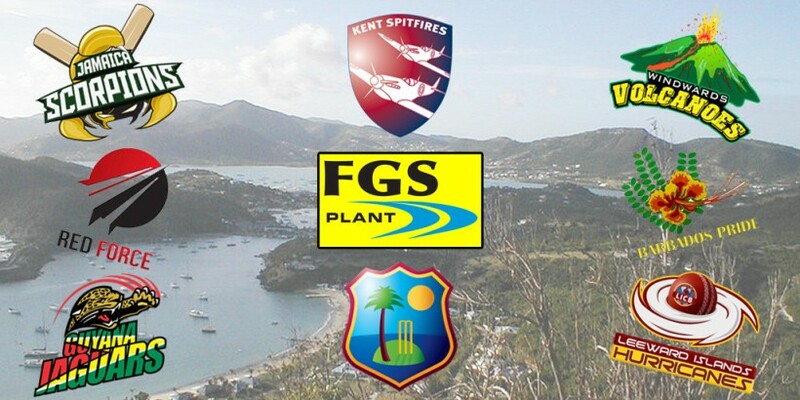 Kent Spitfires will face Under 19 world champions West Indies and senior sides from Trinidad and Tobago, Windward Islands and Leeward Islands in the group stages of the tournament which takes place in Antigua from January 24 to February 18. Kent Cricket CEO Jamie Clifford said: "It is a huge honour for Kent Cricket to be invited by West Indies Cricket Board to join their domestic 50-over competition in early 2017. “It will be the perfect opportunity to play competitive off-season cricket and good overseas experience for the players. We look forward to helping make the competition a big success and introducing the Spitfires to cricket supporters in the Caribbean." The fourth edition of the tournament will precede England’s three-match ODI series in the West Indies scheduled for March. Kent-based plant hire company FGS Plant will be the tour sponsor and their logo will appear on special limited-edition Samurai Sportswear kits designed for the tournament. Managing director Stuart Willy said: “As a long-standing supporter of the club, we’re delighted to be involved in such a historic tour.